We always go on about how great our casas particulares in Cuba are but today we want to talk about one of the country’s main tourist destinations and how it’s currently reeling from a devastating natural disaster that struck Havana two weeks ago. Cuba is not used to tornados. As a Caribbean island, it has faced its fair share of hurricanes (for which it is well prepared and has recorded the lowest death tolls in all of the Caribbean) but tornados are so rare that I, as a Cuban myself had never heard of one ever striking the island during my lifetime. It turns out that, according to local news, “habaneros” were just as unprepared as I was for the news because, despite the meteorological forecast warnings that a strong storm would hit Havana between late night Sunday and the early hours of the morning on 28th January, they never expected it to be as fierce as it turned out to be. Cubans are used to cold fronts and tropical thunderstorms but, with the exception of hurricanes, they had never experienced anything close to this level of non-cyclone-related winds (which reached up to 300 kilometres per hour) and heavy rainfall. The tornado, with its strong winds and heavy downpours, tore through the city and downed trees and balconies demolished buildings and left behind a trail of casualties, four deaths and widespread desolation in some Havana neighbourhoods. Brigades have been hard at work over the last few weeks repairing physical damages, which the Cuban president, Miguel Diaz-Canel described as “severe” and which affected residential municipalities like Santo Suarez, Luyano, Chibas, Regla and 10 de Octubre the most. Several stretches of the central highway Via Blanca were also temporarily blocked. Those currently enjoying holidays in the Cuban capital were the least affected overall as no damages were reported in hotels and no losses in terms of tourism infrastructure. Those staying in Havana’s casas particulares may have experienced some power cuts in the morning of 28th January caused by the fall of electricity posts, but power was recovered in hours. In downtown Havana, things weren’t as bad and although the vicinity of the Malecon seawall experienced mild flooding, most places returned to normality within a few days (with the exception of a few public buildings, most notably a maternity hospital; “Hijas de Galicia” which was almost completely destroyed). 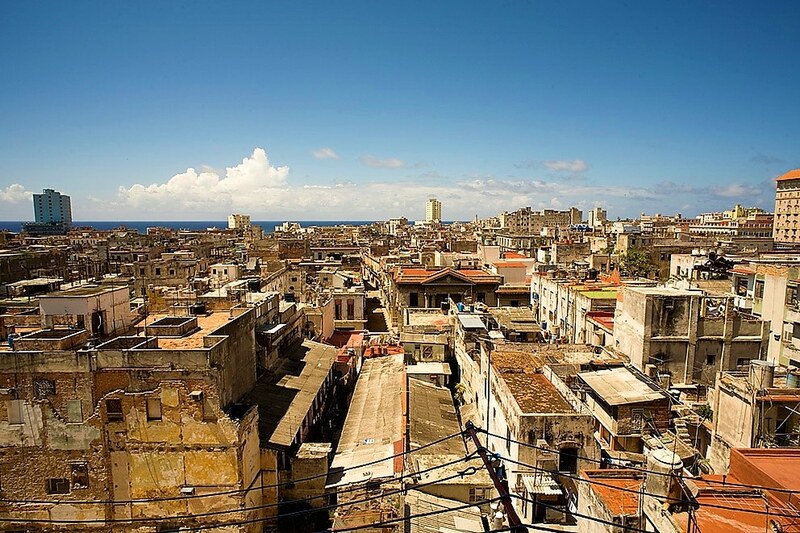 Havana’s most touristy areas, from Old Havana to Vedado and Miramar, have all reported some damages but were the least affected overall. Just to put it into perspective how rare tornadoes are in not just in Havana but all of Cuba, the last time one hit the island was 26th December 1940, when a twister ripped through the small town of Bejucal. And just to put it into perspective how bad this tornado was, online news portal CubaDebate compared it to a Category 4 hurricane. The Cuban government might have been somewhat sluggish in providing humanitarian help and shelter to those in need (over 300 homes were completely demolished) but many locals, artists, musicians and private business owners, like paladares (most notably the famous La Guarida) have taken to the streets to provide free food and donations to those affected. If there is one thing I know about Cubans is their resilience, amazing solidarity and ability to work together and smile in the face of adversity, so I’m hoping that, as president Diaz-Canel said, everything will return to normal very soon and those who lost their homes and everything they had in them will receive more assistance to help them rebuild their lives. Especially now, in the months leading up to Cuba’s 500th-anniversary celebration this November.